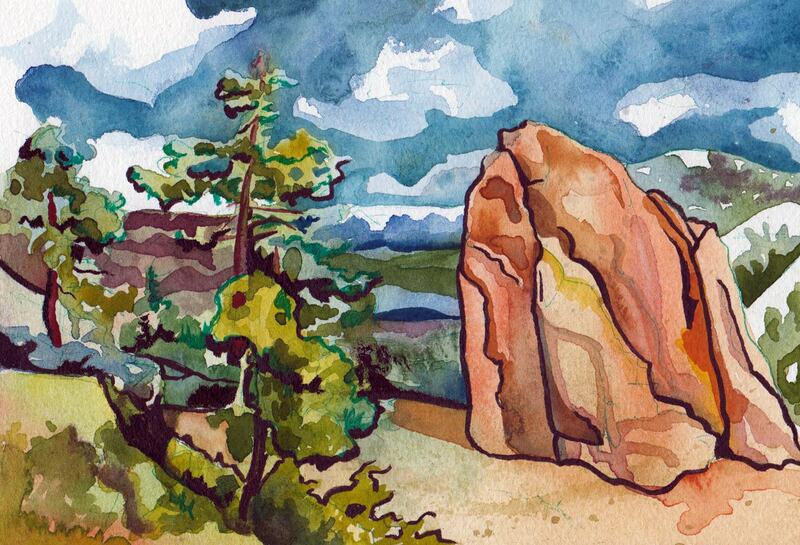 In making a series of paintings on rock climbing I discovered the concept of a warm up rock. A warm up rock is a smaller (but still fairly large rock) someone climbs in order to practice climbing much much bigger rocks. The lovely rock is located on scenic Donner Summit in California. This painting would make a fantastic housewarming gift for someone moving to or from the desert. This painting is titled "Warm Up Rock." It is watercolor and ink on paper. It measures 5 inches x 7 inches (12.7cm x 17.8cm).